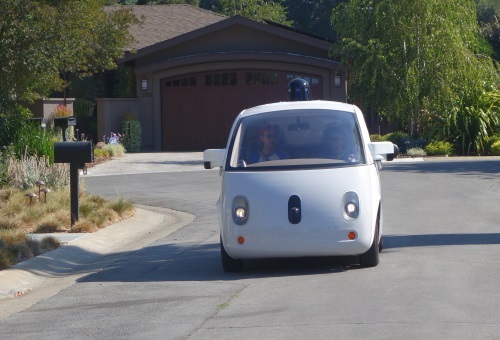 There have now been sightings of the little Google "self-driving" cars - usually with two occupants. They don't come to park in the car park we walk through most days, though, as the Lexus version used to do. 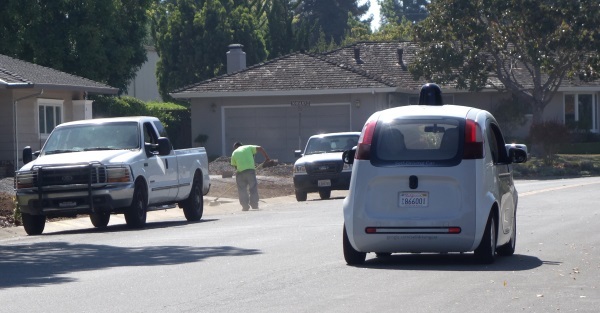 Here's one in the residential streets a few blocks from our house.